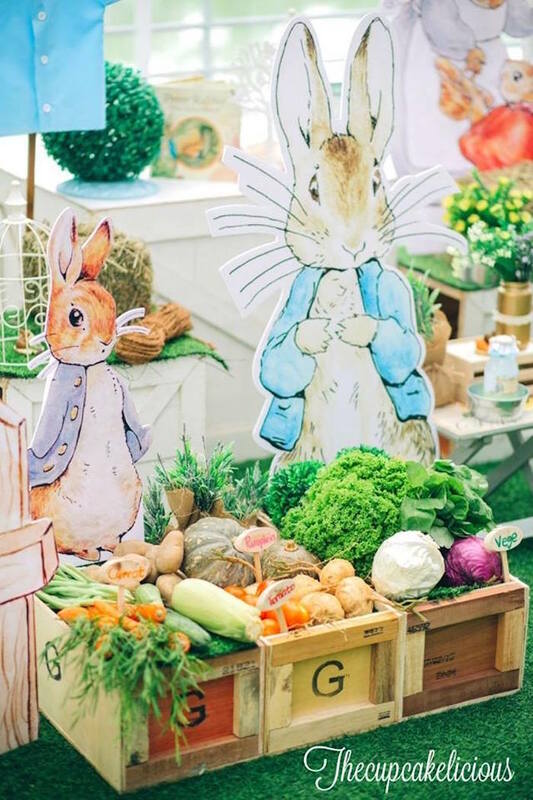 Peter Rabbit is a classic character that makes for the most adorable baby shower or birthday party theme. 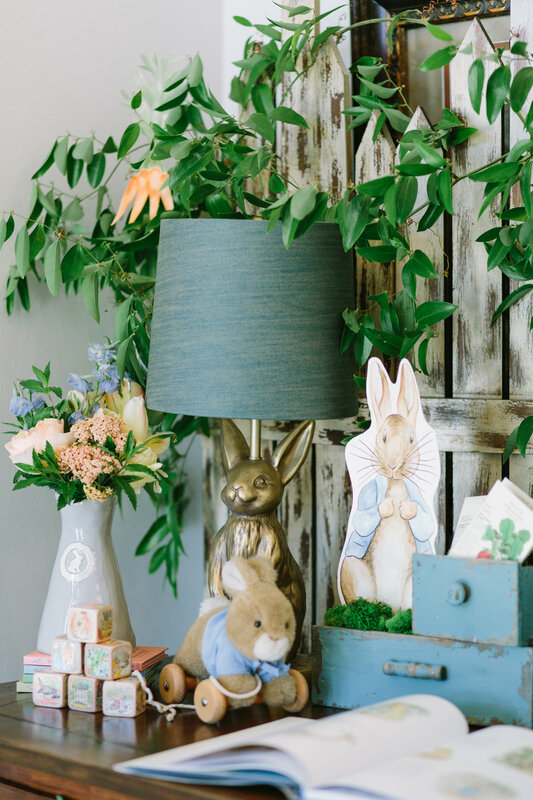 Full of garden details, storybook quotes, and of course, soft cottontails, this is one theme you’re about to fall in love with. 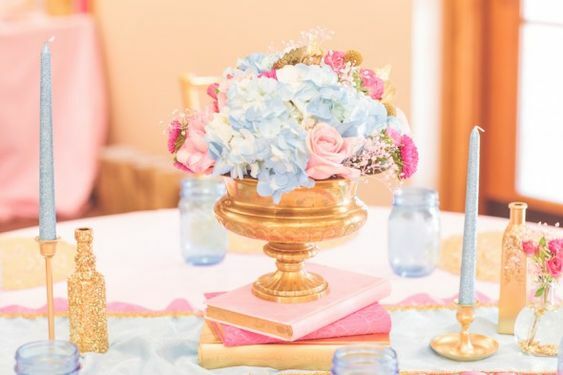 Check out some of our favorite ways to bring the Peter Rabbit party theme to life below, and be sure to let us know which are your favorites. 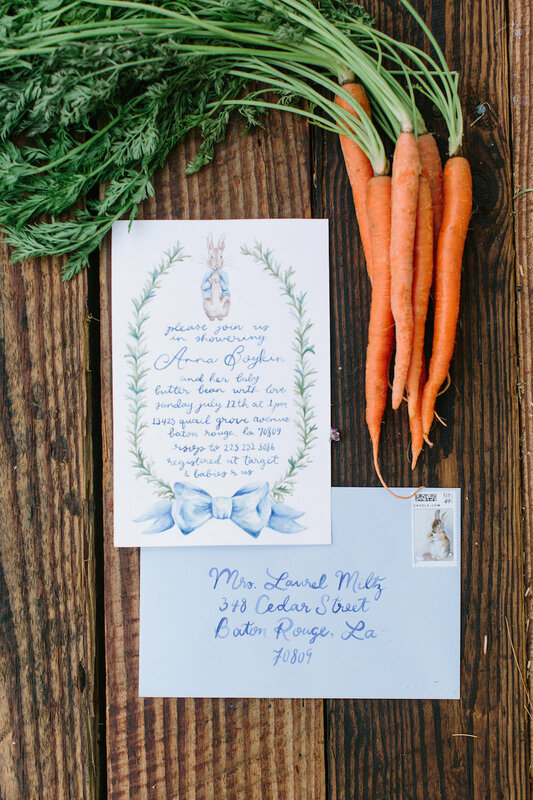 Grab your guest’s attention and get them excited for the party right from the start, with Peter Rabbit or garden themed invitations. Add an extra dose of bunny to your party, by including white pom poms throughout—perfectly resembling a soft cottontail. Because Peter Rabbit spends so much time in the garden, be sure to incorporate garden details such a s vegetables. Not only do they make a fun and colorful display, but they taste good, too. Rabbits are known to especially love carrots, so be sure to give this tasty vegetable a little extra attention. 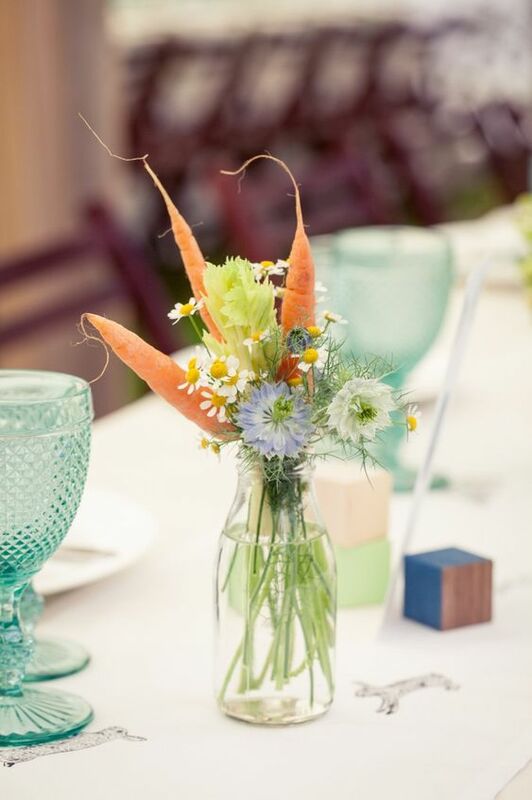 Try adding carrots to centerpieces, floral arrangements, and more. 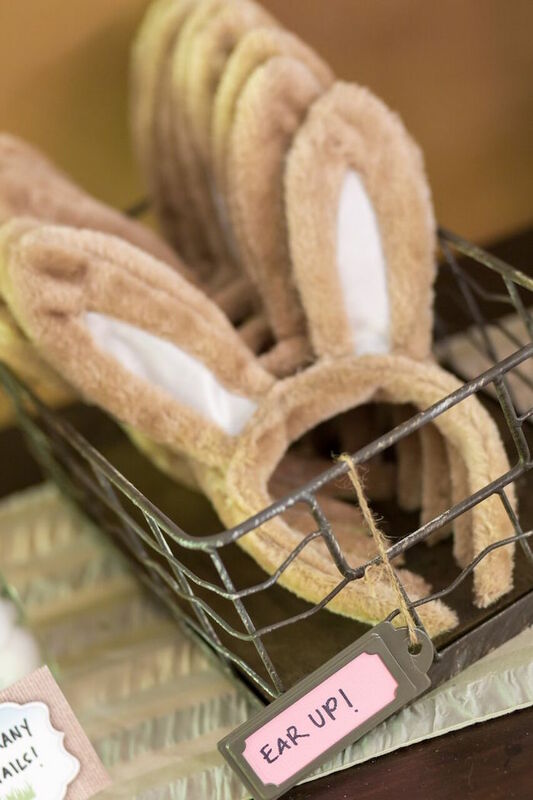 Add an extra dose of fun to your guest’s attire by providing them with some bunny ears! This is a sure way to get everyone in the spirit, and makes for adorable photo opportunities, too. 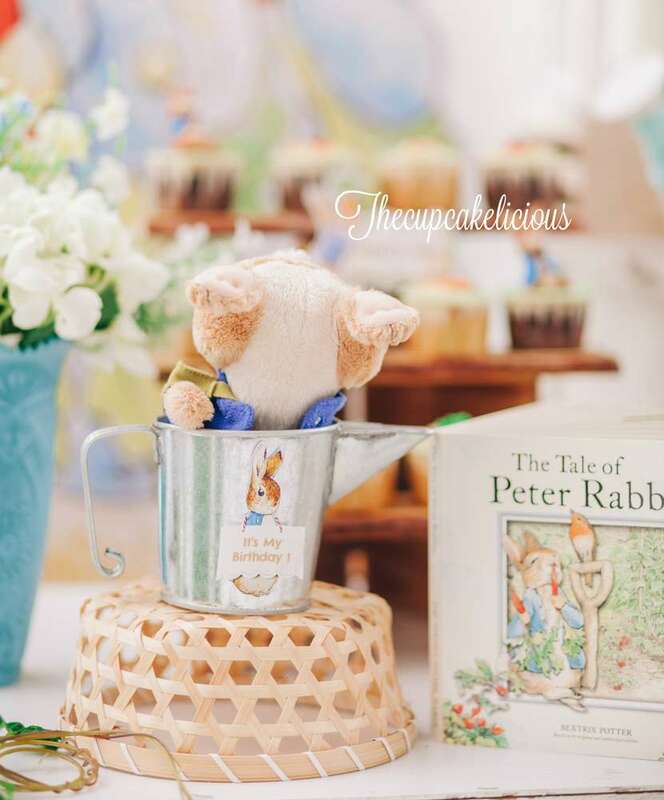 A simple way to make any food or dessert worthy of a Peter Rabbit party is to add a topper. Have Peter Rabbit make an appearance himself by including plush Peters in the decor. For even more decorative pieces, consider vintage toys and books. 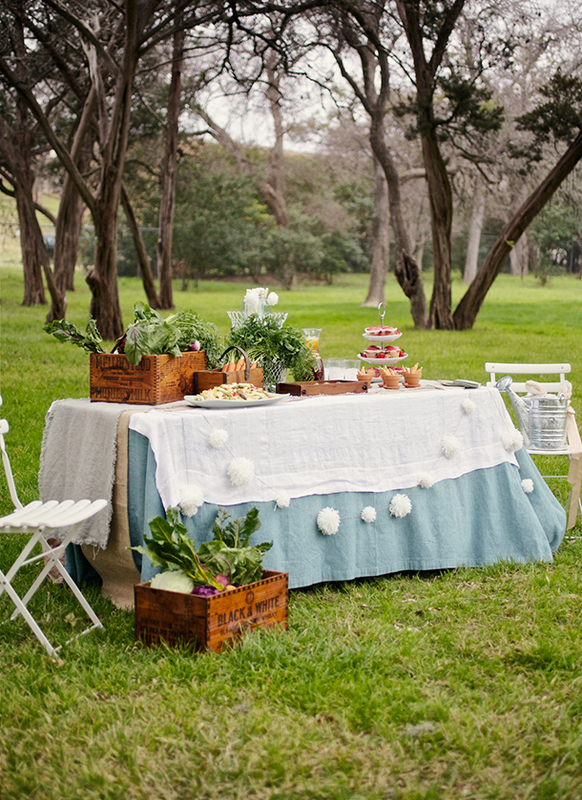 Make your desserts look like they belong in the garden by giving them a makeover. A few examples include chocolate covered strawberries resembling carrots, or chocolate covered brownies resembling lettuce heads. Of course, dining supplies will be needed for all your tasty treats. 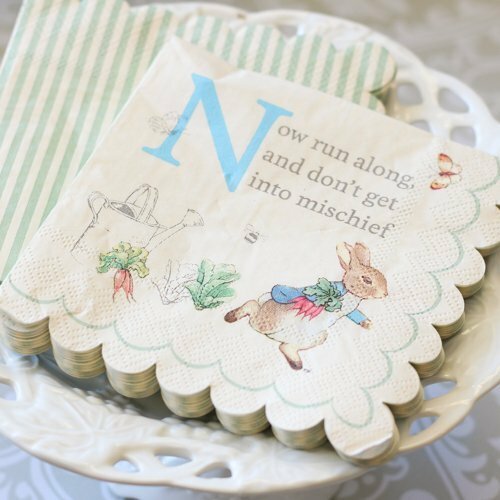 Grab some Peter Rabbit themed napkins, plates, and cups for an adorable set up. 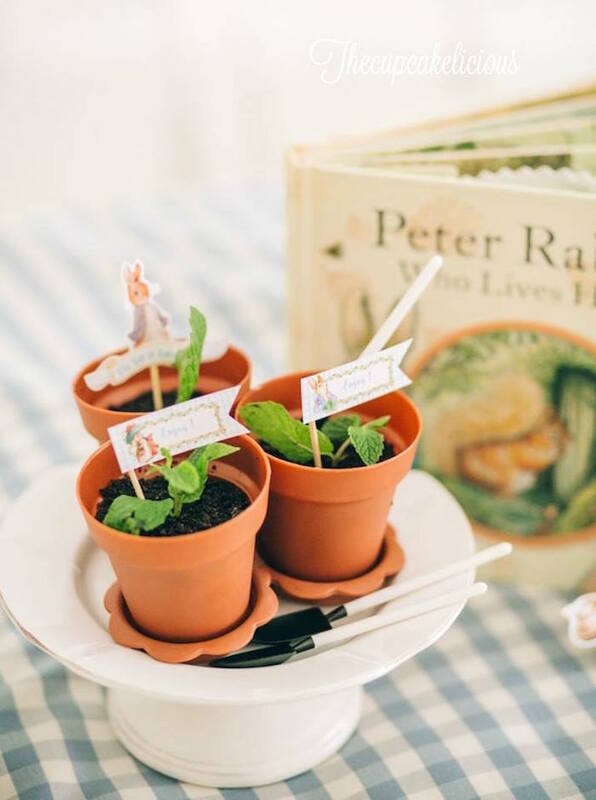 Thank your guests with a Peter Rabbit inspired favor, such as small potted plants, seeds, or even books. 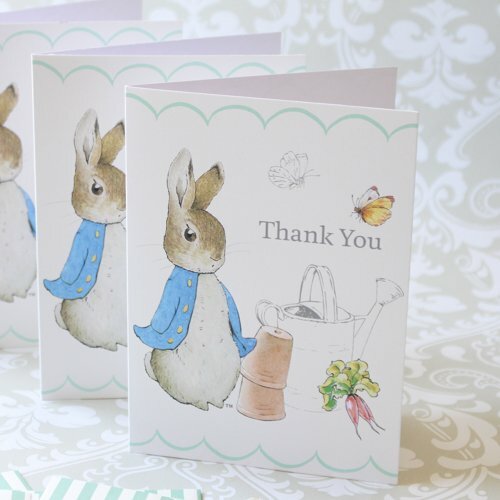 Last but not least, be sure to thank your guests for attending with Peter Rabbit thank you cards. A party is always best, when you’re surrounded by your loved ones! 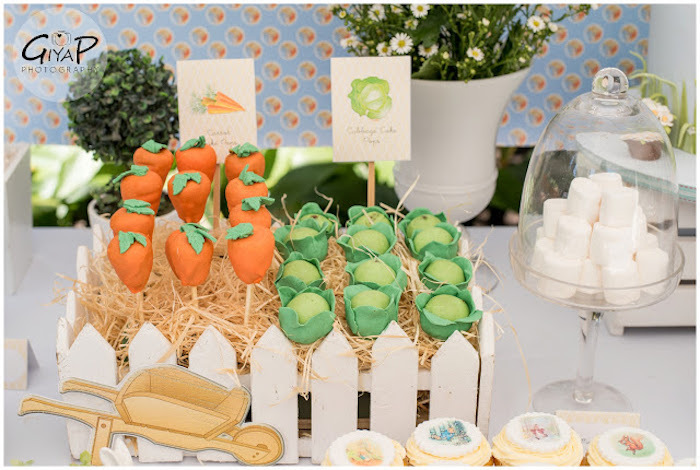 What are you plans for a Peter Rabbit themed party?